Whale Song Goes to Hollywood! 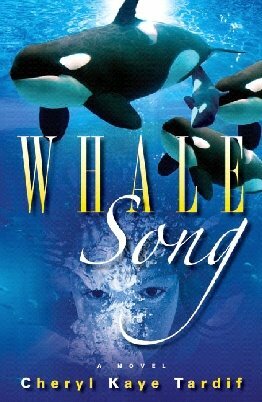 My new April 2007 release, Whale Song, is currently being read by two Hollywood film companies. And they are not the first to consider it for movie potential. Just over a year ago, I approached Mind's Eye Productions, a Canadian film company. They asked for a screenplay, which I then wrote with a fellow writer, Alison Neuman. After careful consideration, they turned it down, I believe due to budget constraints. And now Hollywood has Whale Song! Since the day I started writing this haunting story, I have 'seen' it unfold like a movie. And I am thankful that my new publisher, Kunati Books, saw the potential as well. I have envisioned the emotional impact on the audience and can taste the popcorn. I have dreamed of watching the premier, with a case of Kleenex on hand. And I have imagined potential young stars as the possible main character, like Mackenzie Rosman or Dakota Fanning for the younger Sarahs. Whale Song has also garnered some foreign rights interest, so keep your fingers crossed. One day you may see Whale Song on the BIG SCREEN and read a copy of it in Spanish while visiting Spain. "A wonderfully well-written novel. Wonderful characters [that] shine. The settings are exquisitely described. The writing is lyrical. Whale Song would make a wonderful movie." ~Cheryl Kaye Tardif, author of Whale Song, a 2007 Kunati Books release. Ok...a friend of mine, a fellow writer Kelly Komm, sent me this fascinating (and addictive) link to some 6-word short stories. When you read the premise, you'll get it. but, oh heck...I'll post it here as well! To hell and back. Refund, please! Sometimes an obsession overtakes the mind and heart. Sometimes an obsession can be deadly. She was so full that she couldn’t digest even a single thought. Homer stroked her hair lovingly while she stared at him, speechless. Her mouth stretched into a slight smile and he leaned forward, gently kissing her lips. When a tear trickled from her eye, he wiped it away with a tissue. In the summer of 1968, Homer Duggan’s life changed forever at the Klondike Days fairgrounds in Edmonton. That was the year he had met Agnes McFadden. She was in line ahead of him, her long coppery hair covered with wisps of pink cotton candy. Noticing the sticky mess, Homer reached out a scrawny hand and plucked at her hair. “Hey!” Aggie scowled, outraged that some tall, skinny kid with freckles splayed across his nose would have the audacity to touch her. Over the summer he followed her everywhere. He was in love. Well, as in love as any sixteen year old could be. Aggie was his dream girl, and he knew they were meant to be together…forever. When she finally gave in and rewarded him with a date, Homer was in ecstasy. Two days later, Aggie―with hair the color of a shiny new penny and eyes as blue as the cloudless sky―became his girlfriend. A week after his nineteenth birthday he married her. “I’ll love you forever,” Aggie whispered that first night. The next morning Homer told her that he refused to have children. He loved her so much that he didn’t want to share her with anyone. Aggie reluctantly agreed, and their life together was perfect. Until last month, when Matthew Patterson moved in next door. Homer took a steadying breath. He leaned back in his chair and stared at the ceiling. Some things just had to be said, he realized. Hell, if their relationship didn’t have honesty and trust, how could they possibly last? When she stubbornly refused to answer, he crossed his arms and glared back at her. Ten years younger than Homer, Patterson operated a business out of his basement. People would drop by at all hours of the day or night, carrying large packages that they left behind. At first, Aggie and Homer suspected he was a drug dealer. Then late one night, Homer saw Patterson carrying a garbage bag out to the curb. He decided to investigate, and what he found made his stomach heave. Immediately stomping over to Patterson’s door, he pounded furiously until the man opened it. “Explain this!” Homer growled, shoving the bag in the man’s hands. Patterson stared at it, uncomprehending. Then a slow smile crept across his face. “What the hell’s so funny?” Homer demanded. Homer shuddered as he entered the pitch-black house. An unpleasant, coppery chemical smell lingered in the air. It reminded him of a hospital. In the basement, Patterson flicked on a light, and Homer saw two worktables lining one wall. Over twenty glass jars were neatly labeled and stored on a nearby shelf. But it was the thing in the corner that made his heart skip a beat. A large Doberman sat upright on the floor, its tongue lolling lifelessly to one side. He explained how he had preserved the dog by draining the fluids, removing its organs, then filling the body with material to maintain its shape. Homer had to admit that the dog was mesmerizing. Almost lifelike. Homer left Patterson’s house feeling slightly relieved. Nothing illegal, maybe. But was it right? He had confronted Patterson four days ago, knowing without a doubt that his neighbor had been messing with his wife. The man actually had the nerve to deny it, to say that it wasn’t what Homer thought. Homer’s throat began to burn as his anger simmered. “Do you want him now?” he sneered, turning Aggie’s head toward her lover. Matthew Patterson’s twisted atrophied body was a nightmare. It was obscenely fastened to the basement wall with hooks and long spikes. The man’s motionless eyes stared at them, unseeing. His temple was caked with crusted skin and congealed blood, and the stench of death oozed from every pore. Except Patterson’s stomach was deflated and he looked…dead. Of course, having a body kicking and screaming on the worktable didn’t make it easy. Homer had to take a hammer to the man’s head, knock him out a bit and tie him up with duct tape. Red Green would be proud! He smiled at her. A trophy bride. Aggie was stuffed. And almost completely drained. Tears poured from her horrified eyes and she made raspy mewing sounds that grew fainter with each dying breath. Her deceitful mouth was glued shut, but a few pieces of stuffing had escaped. Hurrying upstairs, Homer was greeted by a young courier who was holding a small box. Perplexed, he signed for the package and brought it inside. He opened it slowly, then wheezed in a gulp of air. A stuffed squirrel was nestled in the bottom of the box. Matthew found Rocky stuck in the tree. He was dead. I know you loved watching and feeding little Rocky so I had Matthew stuff him for you. Happy anniversary and all my love. Homer sucked in a breath and struggled to slow his hammering heart. Forever was a very long time. Previously published in the March 2006 issue of Silver Moon Magazine. Films and Books, a magazine that reviews--uh, films and books--is currently featuring a review of...The River, "a Must Read thriller". Cheryl Kaye Tardif skillfully balances scientific intrigue, and the human desire to retain a youthful body, with tantalizing sexual tension, and vivid characterizations in this engrossing romantic thriller. My fellow Kunati author, Derek Armstrong, received a "Must Read" for his darkly humorous novel The Game on Films and Books. Fathering two teenage daughters, you’d think detective Alban Bane would have enough to fret about, but in The Game, a hugely cinematic thriller with hilarious dark comic moments, we find him quickly dealing with headless corpses. Not that headless corpses give you much trouble because they’re usually real still and don’t talk back and you don’t have to worry about making meaningful eye contact with them, it’s just that this scrappy, witty cop is pretty motivated to find out how they lost so much weight real quick … especially after he gets a creepy letter inviting him to come find out. This is an irresistible story that centers around a new American reality television show called “Haunted Survivor,” where a boiling-pot mix of soon-to-be-dead-but-they-don’t know-it-yet contestants see how long they can survive in an old Vermont mansion haunted by its former occupant, a mass murder, who left the planet in the first chapter by execution by lethal injection. Survive and get one million dollars, but these contestants are having a hard time surviving. They’re having an easy time, however, getting slaughtered. Authors' Row featured 7 Edmonton and area authors, including Bruce Atchison from Radway, Alberta. Atchison's debut is part memoir/part bunny care and is titled appropriately When a Man Loves a Rabbit. If you have bunnies or know someone who does, I recommend this book. Patricia Brine, Carissa Reiniger, Jackson Carter, Sue Paulson and Rosalie Rasmussen also participated in Authors' Row. And of course, there was me--Cheryl Kaye Tardif. This year I promoted my April 2007 release Whale Song (978-1-60164-007-9 Kunati Books) as well as selling my psychic suspense Divine Intervention and my action-packed thriller The River. A prize package valued at over $100.00 was awarded to Stephanie L. Congratulations, Stephanie, and thanks for stopping by my booth. A Total Write-Off Was a Total Blast! Well, this week has been very hectic. On the 11th of October, I celebrated my 20th wedding anniversary by participating in the new TV series A Total Write-Off with host comedian Barbara North. I don't want to say too much about the competition because I want to encourage everyone to watch it when it airs (I believe in early 2007) on Book Television, Access-The Education Station and Canadian Learning Television. The show producer Lisa Miller and all the people at Panacea Entertainment put on a memorable event for writers from all genres and for the live audience who participated in this hilarious show. On October 12th, my husband Marc and I returned as part of the audience. I had to see what it was like on the other side of the stage! It was definitely two days I won't ever forget. The highlights for me, apart from the show itself, were meeting Barbara North, a fellow army brat, being paired with Damien James, a talented ventriloquist, and chatting with Alan Kellogg, an Edmonton Journal columnist and the show's critic, who I will tell you said our story "roared like a lion". I'll post the air dates ASAP. To Lisa, Erin, Mike, Guy and Sarge...and all the others at Panacea, THANK YOU for selecting me to participate. Thanks also to the talented and crazy mime dancers, the band and my fellow writers. Surprising a Fan is So Rewarding! Ok, I'm back from high school--a Catholic high school to be exact. Not because I'm a student or a geek, but because I got to surprise a fan today. And you should have seen her reaction! So after sneakily getting the name of her school, I plotted my surprise. I contacted the school and arranged a visit this afternoon. I loaded up a bag with goodies for Alora, her teacher and the class. I waited in the classroom, wondering if she'd recognize me. We'd only met once, but she did see my photo on my site. But she didn't really notice me until her teacher announced a guest. I gave Alora some yellow carnations and a card. Then I gave her tickets to be part of the audience at the filming of the TV series episode I'll be in (see: A Total Write-Off in blog), and tickets to the Edmonton Woman's Show, plus some other goodies. And then I had to give her a copy of the only book she hadn't read--Divine Intervention. The other students received bookmarks and postcards. Two of the postcards were marked, so those student got their pick of one of my books. Then I talked to them about writing, my books, the TV series/competition, my future projects (including Submerged, which features a young girl named Alora), publishing and more. All in all, it was a very rewarding day! The look on Alora's face? I had a blast! Thanks to Denise and Hillaria at Holy Trinity Catholic School for helping me plan this surprise visit, for making me feel so welcome and for buying my novels for your library. Thank you to the students in the grade 11 English class for being interested in my work and asking questions. Just a quick note to let you all know that one lucky fan is going to receive a surprise visit from me this afternoon. I've arranged this with her high school and she has no idea I'll be dropping by. Not only that, but she'll be receiving an autographed copy of Divine Intervention, the only one of my books she hasn't read. And I'll be bringing some extra little goodies for her classmates too. I'll post again and tell you all about it. During a recent discussion in one of my writer's groups, the topic of book signings, marketing, shyness and belief came up. Some authors expressed that they find signings or sales to be difficult, 'embarrassing', nerve wracking experiences. They don't like them or don't want to do them. Others felt it was a necessary part of a writer's life. I understand where you're coming from. My husband is like you and many others. If he had to live off his sales, he'd starve too. Thank God he's into the labour side of things. It's true that some people are more natural at selling, some can learn how easily, and some are just overly pushy...We all know the arrogant saleman or telemarketer who won't let us hang up. Personally, I've always been good at sales...well, as an adult. But I always set my boundaries and had to believe in the product/service, no matter what it was, charity fundraisers, vacuum cleaners, dayhome directories (which I published myself years ago), Pampered Chef, cosmetics, security systems, vehicles, to name a few. Then I had to believe in myself, that what I had to sell was what many people (not all) needed. That's what got me the sales--not shoving a book in someone's face saying 'Hey, buy this! It's the best book you'll ever read!" (which incidentally is the 'technique' of an author I know). Years ago, my husband had gotten out of the Armed Forces and had gone into car sales until he could figure out what he really wanted to do. Every night he'd come home and tell me how difficult it was. And this was coming from a guy who lived and breathed cars. He knew them inside and out. I barely knew how to drive one--and only if it was automatic. The more he complained about his job, the worse it got. Until one day, I'd had enough. I told him to quit, but he refused. Then I said "Learn how to be better and believe you can do it." He said, "You have no idea how hard it is to sell cars. You should try it." Well, one thing led to another and finally I told him I was going to apply for a part-time job at a different dealership. He laughed and said they wouldn't even hire me. So I took the challenge and told him that I thought it was believability that was holding him back from sales. He didn't believe he could do it, therefore he couldn't. He was right about one thing. I know nothing about vehicles. The next week I started a part time job at a Jeep dealership. Then my husband said, "It took me weeks to sell my first car. It'll take you months." On my third day I sold a brand new, fresh off the lot truck...I think it was a Ford F150 or something. :) Did I push my 'sales techniques' down the buyer s throat? No. I stood beside him, believing I could sell cars, while he said "Great, this has blah blah blah..."
When he asked me a question, I said, "I'm new here. Let me go verify that for you." Belief sells! Honesty sells. I quit after 2 weeks. I had taken the job to prove a point. After that, my husband's sales started to improve. Now, that doesn't mean that he turned into a fabulous salesman, because he didn't. It was still out of his comfort zone. But he learned to improve by believing he could do it--even if only temporarily. I know many authors who have a published book (traditionally and self) that don't do booksignings. I asked one of my friends why, and he said he just didn't feel comfortable doing it, he 'hated' doing them and then later he grumbled that his sales were low. People pick up on your attitude. That's why it's key to LOVE those book signings. Unfortunately, you just can't have it both ways. I know some authors who write more as a hobby. They have a self-published book and don't care how many they sell or if they sell. They did it more for themselves. And that's fine, if that's all they want. Although, I can guarantee that if they started seeing bigger paychecks rolling in, a few of them would change their perspective. To each their own. I think it's important to understand your individual goal. If all you want is your name on a cover of a book and to sell a few copies to family and friends, that's your choice. Go for it! If your hobby is to self-publish a book every couple of years without any editing, that's your choice too, but don't be surprised if people complain. But if you want this as a career, there are things you must do in order to succeed. Like always learn. Learn more about writing, editing, marketing. If writing is your passion and you want New York Times best selling status or to catch the attention of a highly motivated traditional publisher, I believe you have to put yourself out there, step out of your comfort zone and grab onto the belief that you CAN do it. If you want it badly enough, you'll make it happen. And that's the key! I have a friend who is an artist. Her dream is to sell her paintings for tens of thousands of dollars each. I asked her what she was doing to get there and she said 'not much'. She'd only finished a few paintings. I asked how she was going to market them, she didn't have a clue. I asked if she could envision her art gallery opening with hundreds of people attending. She couldn't. I believe that when my friend can see that art gallery show, imagine, envision, taste the wine, hear the people's comments, that's when she'll believe it herself. Then and only then will she be on the right track to success. She has to develop a 'whatever it takes' attitude first. Now consider that all I've said above is coming from the shyest kid there ever was in a BC kid. The kid who sat in the back row, who had zero self esteem. Sure I became very good at sales. My last professional J.O.B. was managing a sales department for a large security company and writing copy. I also became a motivational speaker for a major international organization. I overcame my shyness because I had to--I wanted to. And I wanted be the 'best at everything I do. And since writing has always been my intense passion and I want to be very successful at it, I overcame my nervousness of booksignings because there was no other choice. It all boils down, I think, to one key question: How badly do you want it? Then it's up to you to define what 'it' is. Are you happy with your success? Satisfied with your sales? Want more? We choose our success; it doesn't choose us. And we all have different definitions of what that success is. So for those who are happy with the odd signing and a bit of spending money, that's great. For those who want more, choose more. Then find ways to get it. I totally respect where some authors are coming from, but I'm hoping this reaches a few that are looking for some inspiration to become more motivated with book signings or marketing in general. "Selling yourself is selling your product. I practice reading out loud every day. I try not to say uh, you know, or any such repetitive remark. It takes practice. I, too, was an introvert until I realized that I was a bottle with a cork that wanted to explode. If you want to sell, pop your cork, forget about the word 'can't and do."